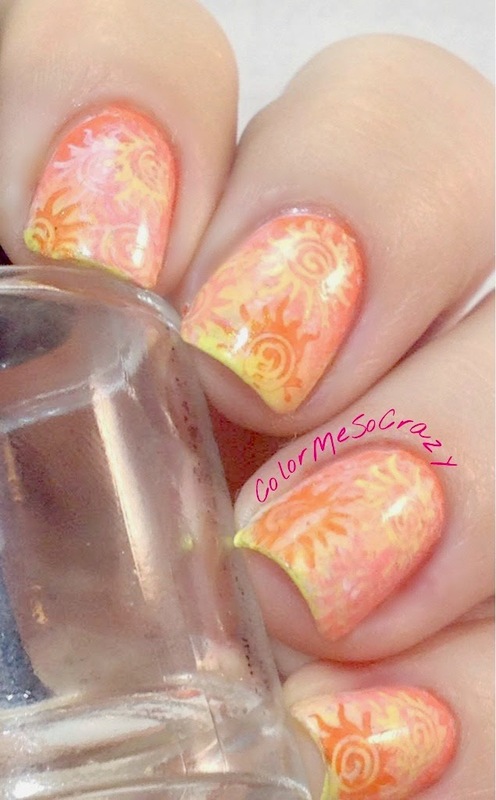 This week on nubs I have some fun summertime colors and stamping design. 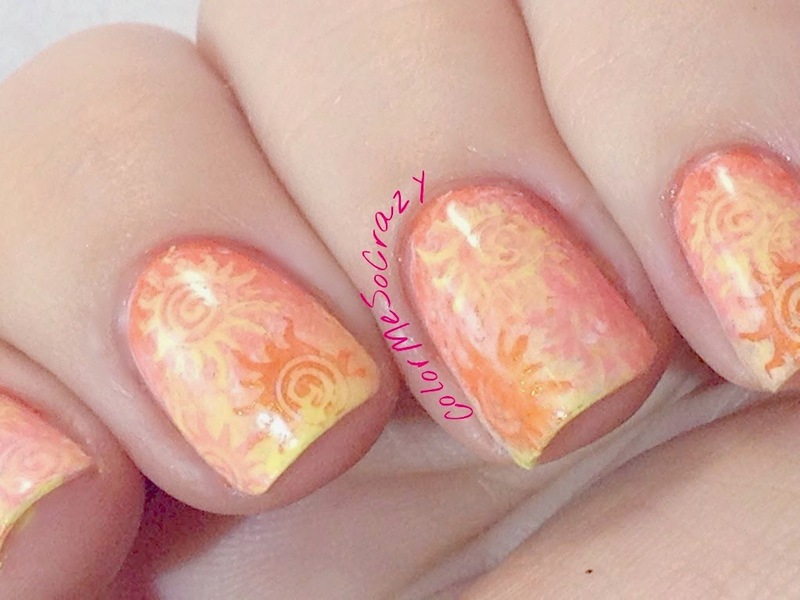 It is going to be awfully hot this entire week, so this is a great time to bust out some sunshine on my nails. 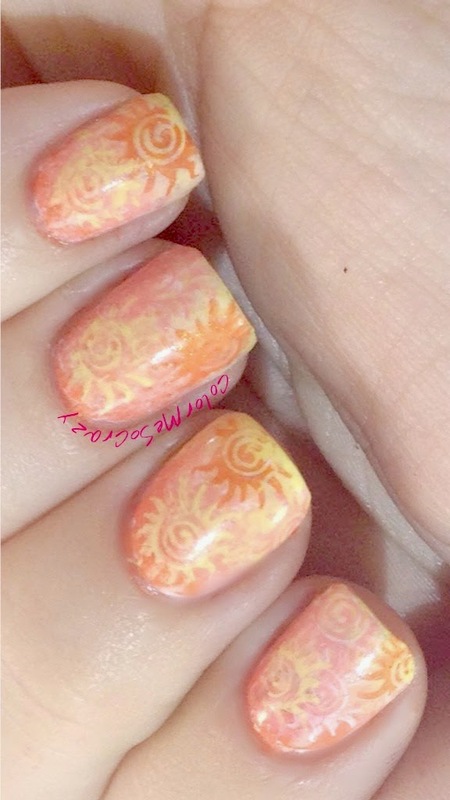 I was so excited to do these and then when I went to add the linkup code, I realized we didn't get one this week. I think this means that the linkup is over?? I am not sure. I am pretty bummed if that's the case. Hopefully I will be back next week with some more! 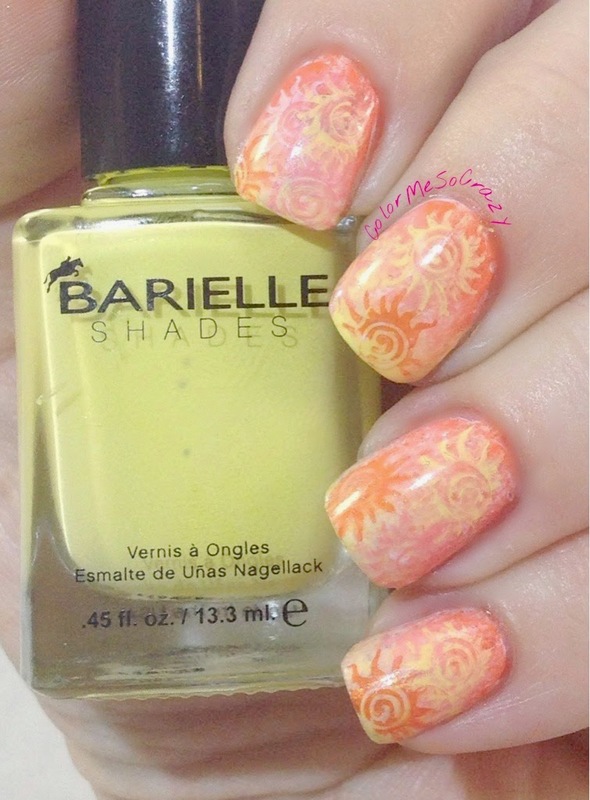 I used colors from the new Barielle Keys Collection. I told you, I am in total love with this collection. They really hit it out of the ballpark with this entire collection. 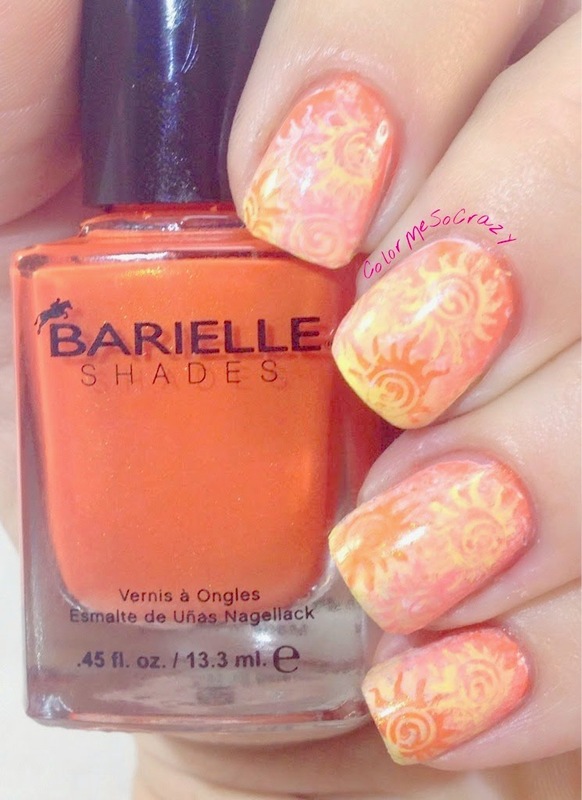 I am so not a yellow or orange person and both of these colors in this collection are really gorgeous.